The guide is not outside, the guide is within you. One has to go deeper into one´s own being to find the guide. 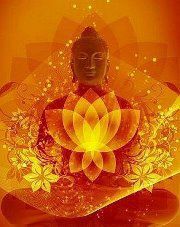 Once the inner guide is found there are no more mistakes, no repentance, no guilt. There is no question of doing good or doing bad; whatsoever one does is good. It is not a question of morality either; one´s very being is good and whatsoever comes out of it is good. One walks in light and one walks lightly because the head and the burden of the head is no more there. And when one walks in light and walks lightly, life becomes laughter, love, joy. Once the guide is found, you have found the master within yourself.